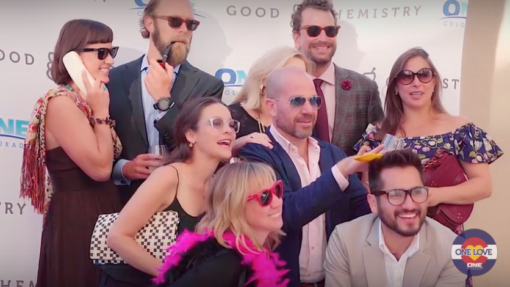 Good Chemistry Nurseries is proud to support the One Colorado Education Fund and its signature fundraising event — The Ally Awards — on August 26, 2017, at the Four Seasons Hotel Denver. The evening will culminate in an awards presentation to allies who work to advance equality and make a substantive difference in the lives of LGBTQ Coloradans. The evening will kick off with a cocktail party on the pool terrace of the Four Seasons with a hosted bar, and hors d’oeuvres. Guests will then move to the Four Seasons ballroom and attendees will enjoy an awards ceremony with special guest speakers, delectable desserts, and champagne. Good Chemistry has been a longtime sponsor of the Ally Awards, and in 2016, Good Chemistry CEO was proud to receive an Ally Award. Click here to watch a video from that presentation. Learn more about Good Chemistry’s philanthropic initiatives and how you can contribute.